LONDON, Nov 13: Amnesty International has withdrawn a prestigious human rights award from Aung San Suu Kyi, following what it described as a “shameful betrayal” of the values she once stood for. 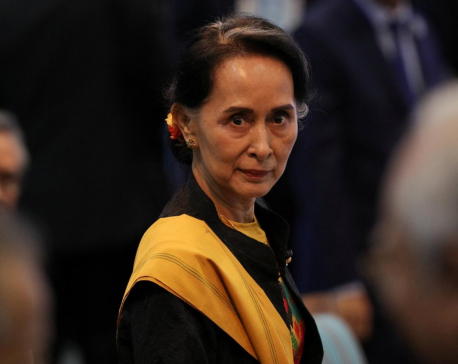 It is the latest in a series of accolades to be withdrawn from Aung San Suu Kyi, including the US Holocaust Museum’s Elie Weisel award and Freedom of the City awards, which were revoked by Edinburgh, Oxford, Glasgow, and Newcastle. 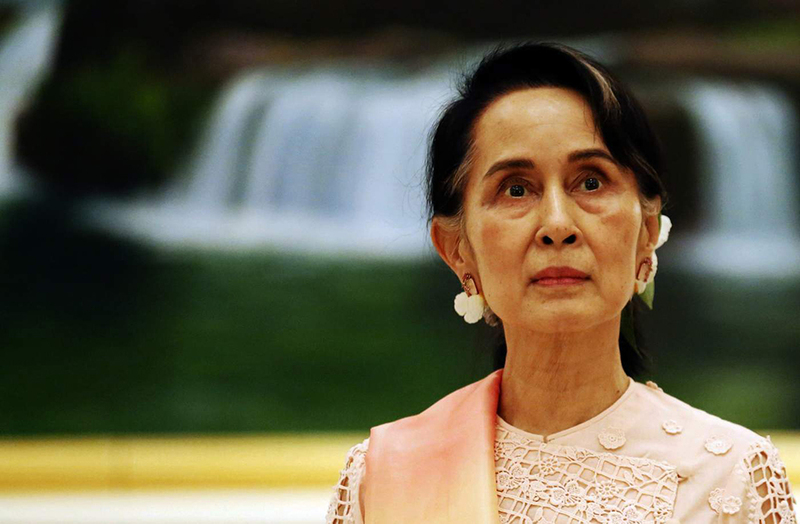 Amnesty International said on Monday that Aung San Suu Kyi, now Myanmar’s civilian leader, was no longer a symbol of hope and that it had withdrawn its highest honor, the ambassador of Conscience award. It cited her “apparent indifference” to atrocities committed against the Rohingya and her increasing intolerance of freedom of speech. Aung San Suu Kyi received the ambassador of conscience award in 2009, while under house arrest, for her role in championing peace and democracy. She was described as “a symbol of hope, courage and the undying defense of human rights” by Irene Khan, Amnesty International’s then secretary-general. Kumi Naidoo, the organization’s current secretary general, said in a letter to Aung San Suu Kyi that her ambassador title could no longer be justified. Aung San Suu Kyi has been widely accused of being apathetic or complicit in the plight of Rohingya Muslims in Myanmar, who, the UN has warned, continue to be targeted in an “ongoing genocide”. More than 700,000 Rohingya people remain in Bangladesh, having fled a brutal military crackdown that began in August 2017. UN investigators said that during the campaign, Myanmar’s military carried out killings and gang rapes with “genocidal intent”, and called for the commander-in-chief and five generals to be prosecuted for the gravest crimes under international law. Yanghee Lee, the UN special investigator on human rights in Myanmar, said she believed Aung San Suu Kyi was in “total denial” about accusations of violence. “Without acknowledgment of the horrific crimes against the community, it is hard to see how the government can take steps to protect them from future atrocities,” said Naidoo. 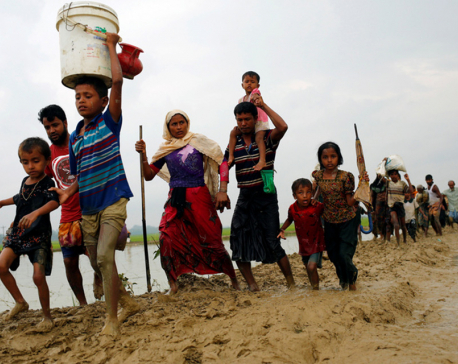 Amnesty International added that Aung San Suu Kyi’s administration had stirred up hatred against Rohingya by labeling them “terrorists”, obstructed international investigations into abuses, and failed to repeal repressive laws used to silence critics. In September, Aung San Suu Kyi defended the imprisonment of two Reuters journalists who were given seven-year jail terms after investigating the massacre of Rohingya Muslims in Rakhine state. 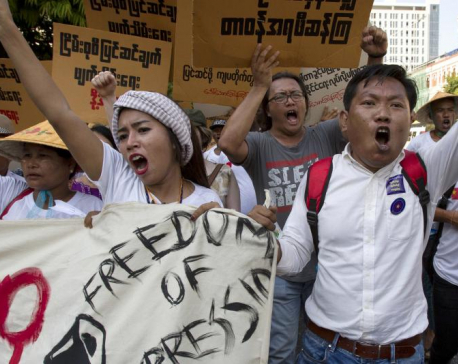 The sentences were widely condemned by international governments, human rights groups, and the UN as a miscarriage of justice and a symbol of the major regression of freedom of expression in Myanmar.